Note: Yes, this recap is late. Sadly I’ve been dealing with family and health issues that have been keeping me busy. But I recently had the time to sit down and write my usual review. 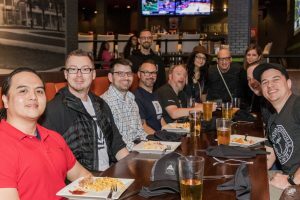 WordCamp Miami 2018 was our 10th anniversary. That’s 10 CONSECUTIVE years of WordCamp Miami. We are proud to be only of a few WordCamps in this category (one or two camps exist that exceed that record). 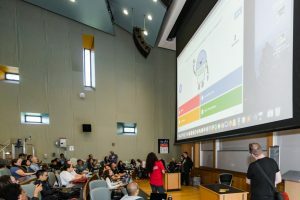 Obviously as the lead organizer of WordCamp Miami i’m biased about the event, but it gives me a unique perspective and ability to relate some behind the scenes info. Since events like these ALWAYS have some sort of challenges and problems (in or out of your control) I’ll be including that as well. If you are an event organizer, maybe there’s something here you can benefit from. You can’t get too far into talking about WCMIA without bringing up the FIU bridge collapse and how that impacted the event. The tragic event happened on Thursday, a day before WordCamp Miami was supposed to begin. It would go on to impact the conference in terms of difficulty finding the right alternate entrances to get into FIU, and we did get some local people who decided to come later or only come one day because of wanting to avoid the area. As a lead organizer, I was incredibly impressed with how the organizing team jumped into action literally immediately after the news came out. We established a command center at Jean Felisme office at FIU (he works on the campus) and within an hour we were communicating a game plan on Slack (and then on the phone with key people). Jean was receiving official updates from FIU as we were monitoring the news. Rick Tuttle, another organizer, was monitoring the general Slack and eventually helped rely revised directions for the following day workshops. Colleen Brady helped monitor and broadcast updates on social media, especially Twitter. All in all, we had revised directions and information out to the general public on our website, Slack, and social media channels within three hours (which isn’t much time considering that an event making national news happened only a few hours prior). A big thanks to the WordPress community team for also reaching out to me and the team quickly during that Thursday as well. It’s great to have their support. This tragic event impacted many people outside the realm of our event, and especially various people at FIU. 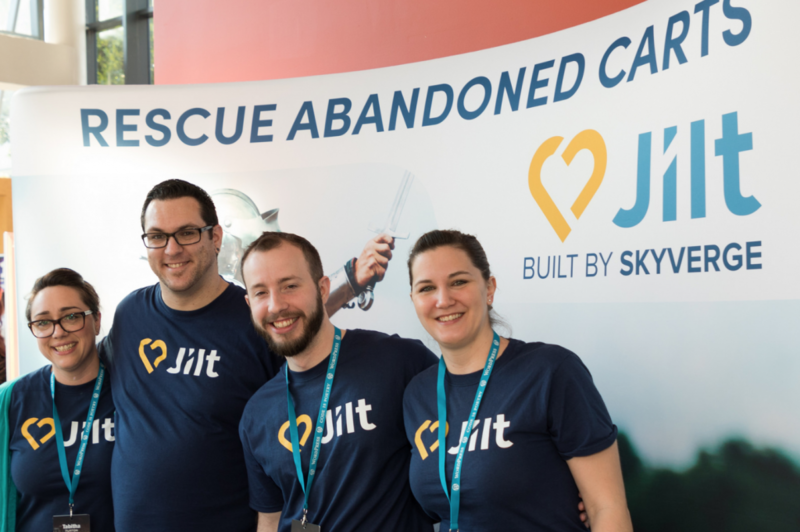 It was a distraction on multiple levels for many people – it disturbed on various levels our volunteer team and technical support that weekend. 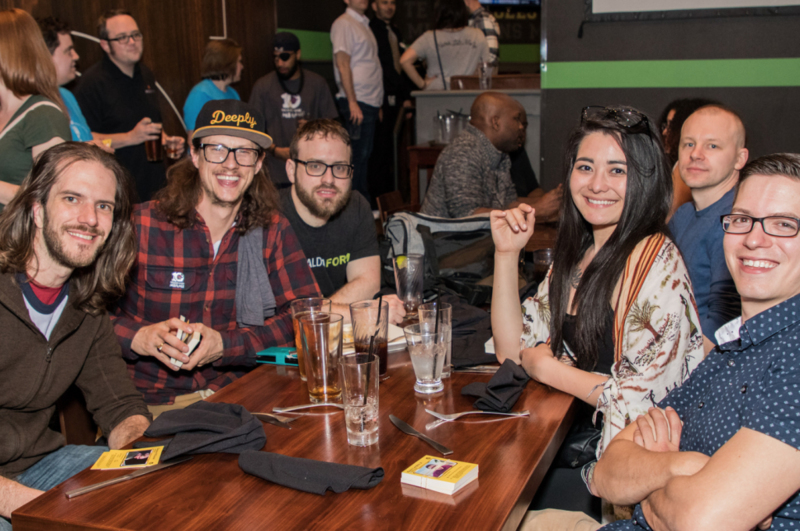 But overall we pressed through that weekend, and the only event cancelled for WordCamp Miami 2018 was the unofficial informal “meet and greet” on Thursday event. We canceled this “just in case” and didn’t want people coming to FIU for traffic reasons primarily (the campus was not shut down, but a major street was blocked and traffic was going to be a nightmare). We want to thank all those that provided invaluable support and help during this period, not only for WCMIA but to those effected by this tragedy. WordCamp Miami provided a moment of silence on Saturday morning, and donated food on Saturday and Sunday to the rescue workers. 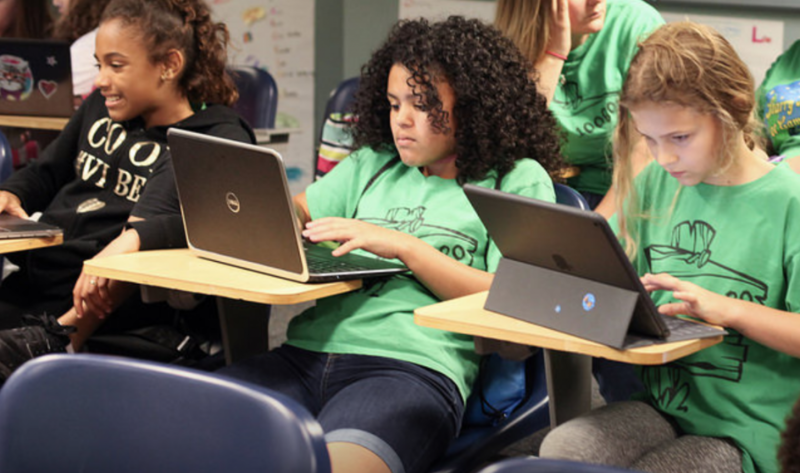 I was proud to note that WordCamp Miami 2018 was the largest it’s ever been with over 1000 attendees, including those attending the workshops on Friday and also the children from our kid’s camps. Not all of these attendees came at once, and this doesn’t include anyone watching the livestream. The count is an increase from 2017 where our official total was 850. I was so amazed at this number i had to sit down with organizers and counted how many badges were given out. We had a higher percentage of no-shows this year (mostly due to the bridge collapse), so I can’t imagine what the numbers would have been with those additional people. Tragically we lost our registration organizer and coordinator Efrain Rivera several months before the event. We miss him dearly, and they were shoes that nobody felt could be easily filled. Luckily Jim Wells and Steven Alig stepped up to fill the role together – and with a team of a dozen volunteers, they managed to make registration run very smoothly. Our 2018 Kid’s Camp broke new attendance records – with over 100 kids attending. What was unique about this year is that we split the kid’s activities into two groups. The younger group was more focused on building their first blog on Saturday, with STEAM/STEM activities on Sunday. Thanks to Sandy Edwards and Peta-Gaye Bisset, along with all the dedicated volunteers and speakers for leading those two days. 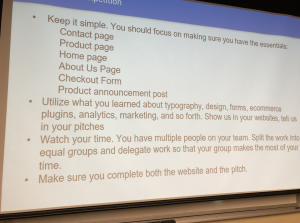 The older group (13+ years) was focused more on building their first ecommerce website THEN learning how to market it… with a competition at the conclusion with a panel determining which sites were marketed the best. Thanks to Chris Christoff and the volunteers for making this happen, and it’s something we got amazing amount of positive feedback on. Most camps have a single “track” that aims toward the younger side, and with this type of new format for WCMIA for older kids – we believe we have established something that young adults not only can enjoy at the event but learn new skills that can benefit them in high school and beyond (I would have killed to spend a weekend at no cost learning how to build and market a website back when i was in school). Our food planning is always something especially close to our hearts – every year (including this year) we get emails asking about the hydrogen frozen ice cream or the BBQ lunch before tickets go on sale. If we ever changed these particular things, we’d have a riot on our hands. One particular area we wanted to focus on improving on providing vegan options to our menus. We reached out months before to a few of those with experience in this area (including vegans), researched surrounding restaurants, etc. WCMIA sent out it’s traditional email focused solely on food (which we have been doing for over 5+ years) to inform people ahead of time of our plans. The greatest improvement was likely related to coffee. There was a “great coffee shortage” in 2017, but this year we provided fresh coffee each morning of the three days with additional coffee in the afternoons after lunch. There was more than enough coffee to go around, although we will have to ensure enough cups are delivered with the coffee. Feedback on food was good overall, with Sunday vegan options being the only real improvement area. 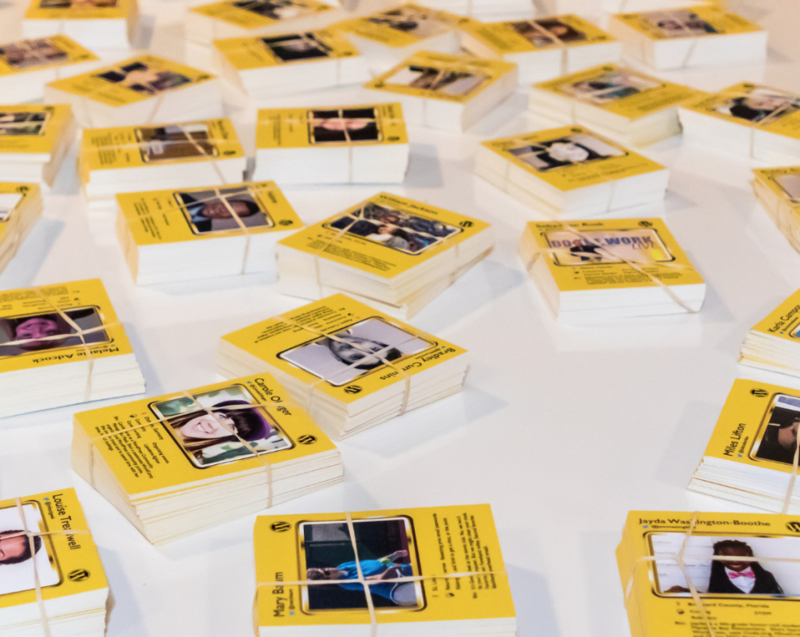 There was more thought and attention put into reported food allergies and warning/advising people about them in the food (feeding people at large scale with the options WCMIA means that we can’t provide too many varieties for everyone’s needs). At some point i’ll be writing a post about expectations organizers can help set to attendees about food to certain groups and those with certain allegories, but there’s no way organizers can account for every allgery documented in ticket registration. The best you can do is provide enough time to people so they can plan (I personally bring food to conferences thanks to my diet, but I appreciate information in advance like most). WordCamp Miami had about 80 speakers (including those on panels and managing workshops), which is a new record. 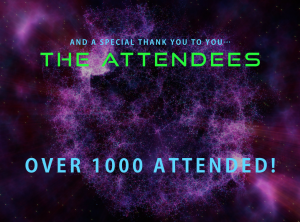 Thanks to hard working volunteers and organizers, there wasn’t any issue with this large number (which i believe is a record for number of speakers at a WordCamp or at least a US based one). 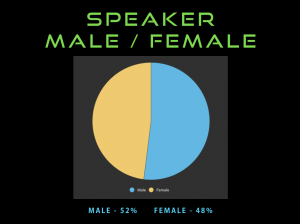 A proud statistic was that we almost had 50/50 split of men and women speakers this year (the average WordCamp percentage for women is 30%). 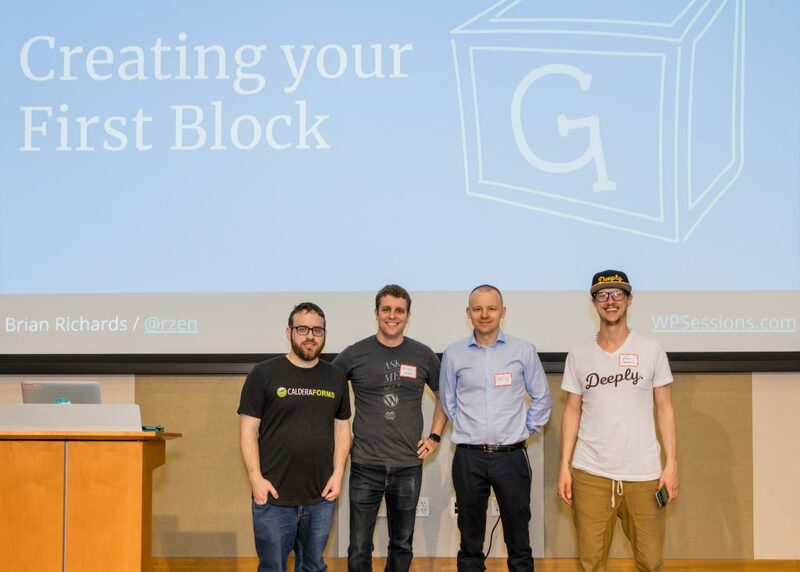 Gutenberg Workshop – Some of the best experts on Gutenberg development got together for this on the Friday of WCMIA: Zac Gordon, Josh Pollock, Grzegorz Ziółkowski, and Brian Richards. Not too many Gutenberg workshops were being done at WordCamps but March 2018 Gutenberg was at a state stable enough for WCMIA to provide a full day’s worth of training. I really want to thank the four speakers for the time and effort to coordinate. These things are not thrown together, but a good portion of time was spent on Slack coordinating. Ecommerce Track – Chris Lema led a fantastic morning of showing people how to create an ecommerce site with WooCommerce. To top it all off, Liquid Web providing the “practice sites” to those who attended. The sites were already setup WordPress sites with WooCommerce and other ecommerce plugins already installed. Imagine paying $15 for a workshop that provided the site for you when you walked through the door, and getting a guided tour how to use it. There were some great talks in the afternoon about expanding your store and other plugins that can be used for ecommerce. The format of our Sunday business track was changed a bit. 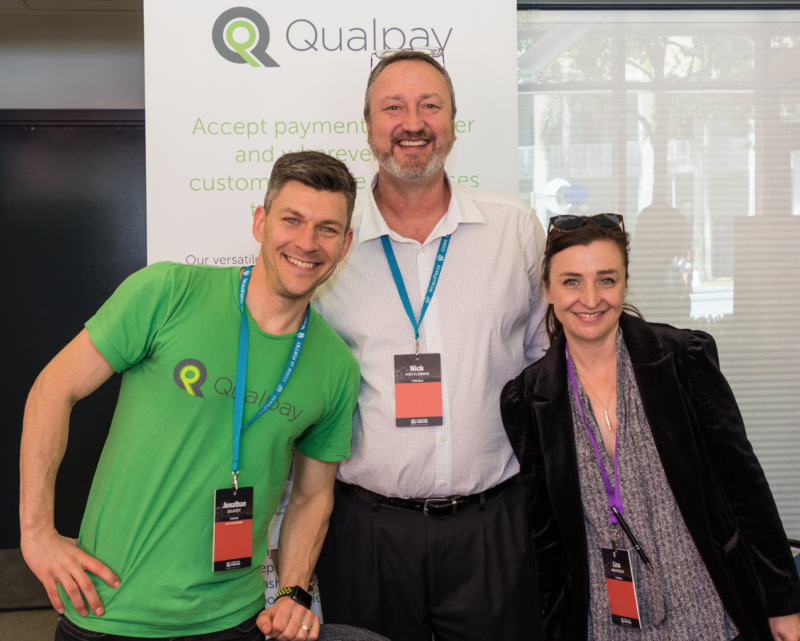 Our feedback from previous years was that some business talks were a bit “lengthy” and some panels not offering deep enough insight (overall the track is always well attended but although these comments were in minority we took them into account when planning for 2018. Karim Marucchi reached out to us early on, and we helped form a cohesive series of talks for the morning. Rian Kinney assisted Karim with helping introduce speakers which included Pat Ramsey, Sherry Walling, Christie Chirinos, and Pagely CEO Joshua Strebel. That morning got great feedback – so lesson learned that if you put in the time and aren’t “throwing together some business talks in a track” then attendees pick up on that. Lightning talks in the afternoon helped keep the topics moving. Our youngest solo speaker was 11 years old, and we had those on our kid’s panel as young as 6. WCMIA had it’s first “Women in WordPress” panel, which we are proud to be among many other camps providing similar panels and discussions. I’m once again proud of the diversity in our speaker lineup, and we will continue for this to be a focus in the years to come. 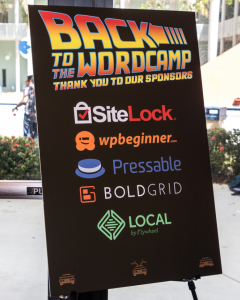 WordCamp Miami doesn’t just put out a call for speakers then sits back waiting for applications… like in previous years we made an active effort to reach out to those not in the “WordPress Bubble” or have spoke before. 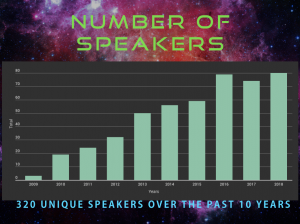 For 2016 and 2017, we had around ten speakers each year who never spoke at a large scale conference or WordCamp before and this year that number was 6. Approximately half of our speakers were what we would consider local. We had a number of lightning talks so we could introduce more local speakers to speaking, with the hopes of encouraging them and others to apply to future WCMIAs. Feedback wise, it’s always hardest to tell from surveys when it comes to talks. 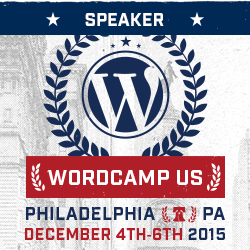 Not every talk is going to apply to you since WordCamps host a wide variety of people. And there’s always a balance to establish – the person that said last year that you should have more lightning talks is the same person this year that said you shouldn’t have lightning talks (this literally happened a few times). You have to view feedback from a certain distance, and continue to be on top of what those in the local WordPress meetups are asking for. All in all, it seems we did particularly well. Thanks to efforts from Jesse Velez (Room MC coordinator) majority of our speakers were on time which means we were on schedule outside of very few expectations. We were honored to have Matt Mullenweg pay us a visit on Saturday, and he closed out the day to a packed room (so packed in fact that we had to have a second overflow room that watched on the livestream – and even that was packed too). John James Jacoby did an interview with Matt, talking about the past and future of WordPress. This was Matt’s first official spot on the WCMIA schedule even though he’s visited WordCamp Miami before. The volunteers and organizers did a fine job with crowd control, and Matt was a blast to have. He stuck around for the gameshow (and watched my daughter mock me, but that’s another story) and after party. I know Matt’s schedule is EXTREMELY hectic so the WCMIA team wants to thank Matt personally for taking the time. 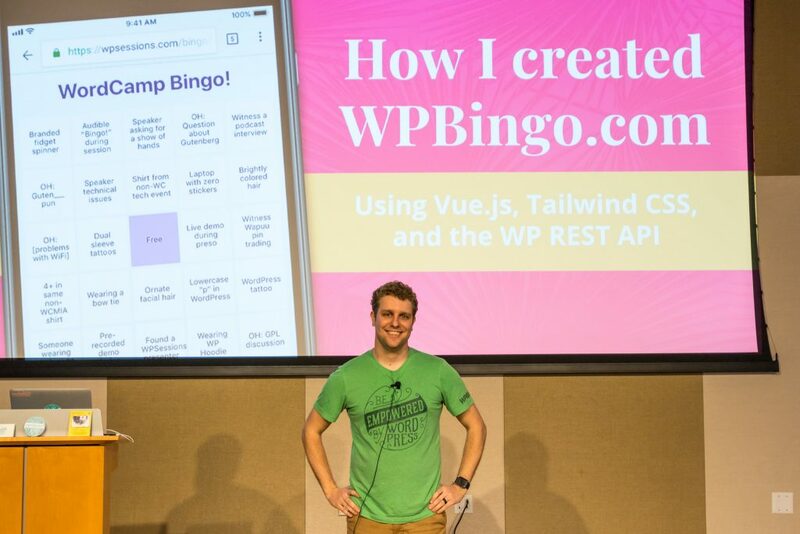 – Brian Richards prototyped WPBingo at WordCamp US 2017 and brought it fully to WordCamp Miami in 2018. People could play the bingo game online starting Saturday morning and right before we started our gameshow hour later that day, we were calling out winners. I wanted to thank Brian for adding something fun and different, and several people had big grins on their faces walking away with prizes. 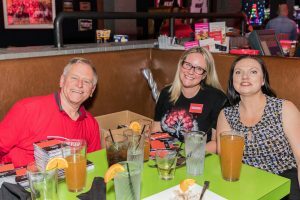 – We brought back the trivia games from last year (it was a huge hit) and made a Gameshow Hour on Saturday right before the after party. We had over 200 participate while alot of people looked on. Sponsors donated some prizes and we properly thanked them all as we moved forward. There were even rounds especially for the kids. 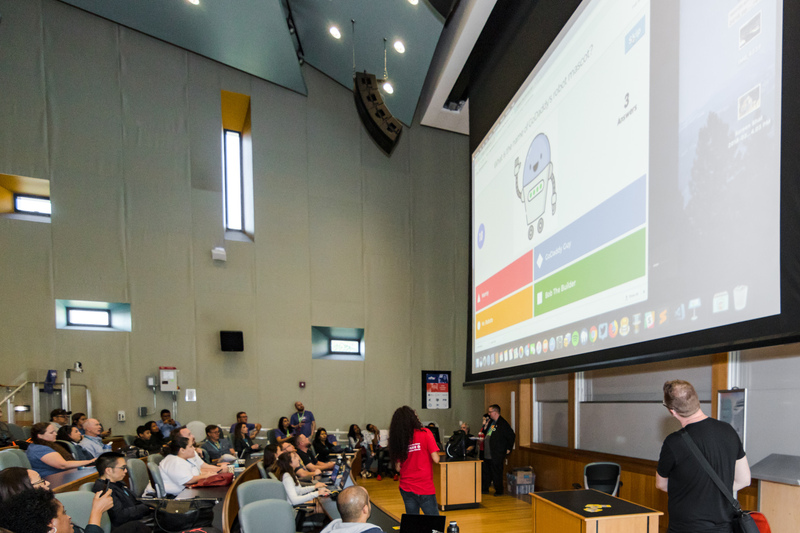 The Gameshow is now a fully established tradition for WordCamp Miami. This year our after party was located on the FIU campus, within walking distance from where WordCamp was happening. In fact, from a logistical standpoint, it was great. Matt Mullenweg closed Saturday, we do the Gameshow Hour, and everyone who wanted to attend simply did a 5 minute walk over. The after party venue was a Chili’s restaurant and since it was spring break at FIU, it was completely ours. We estimated between 200-300 attended the after party at some point in the evening, including organizers and volunteers. The venue, according to local law, had it’s own security… plus we had volunteers making themselves available if anyone had an issue or question. Even though the venue had a bar, we kept it family friendly. Limited drinks were available and the bar was away from the “game room”, where the pool tables and games were. WCMIA had it’s first karaoke night, and it was a blast based on the photos taken. The restaurant was noisy but not REALLY noisy, and there were plenty of locations for “quiet areas”. 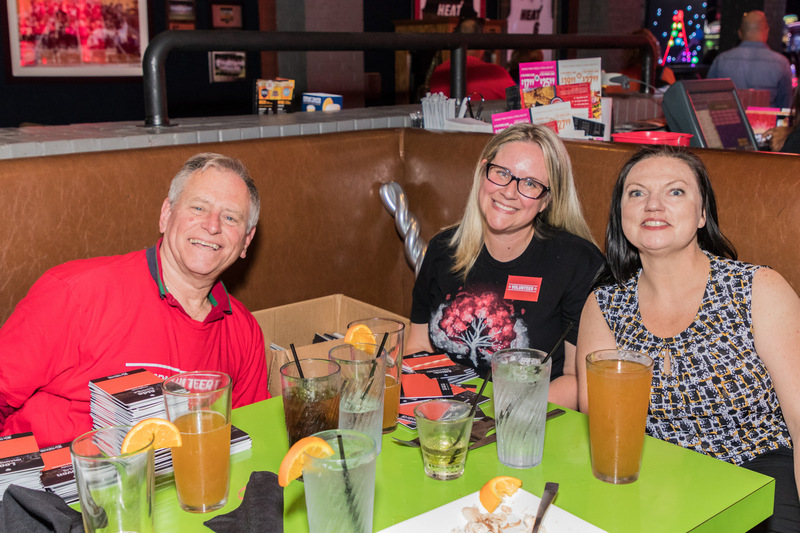 In the last few years, we have made it a point to offer two expereience for after parties: (1) active areas where there are crowds, photo booth, pool tables, games, karaoke, etc. and (2) places where it’s away from the action, more quiet, and you can have a private conversation or just separate yourself socially for a bit. Special props goes out to WCMIA organizer Patrick Alexander for locating and securing the venue, and leading the team to make sure the venue was secure and running smoothly. This being our 10th anniversary, we were especially focused on preserving memories. So we want to give special thanks to Erica Price for being the official organizer of photography. 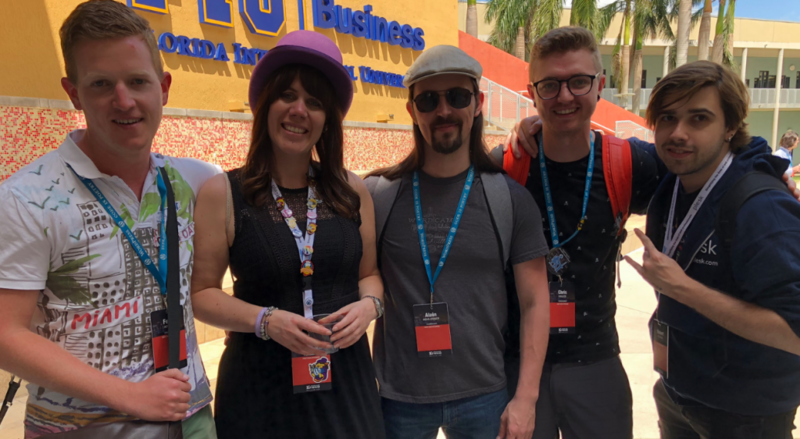 We had many photos added to Twitter and Facebook, and we also have alot of photos on our official WordCamp Miami 2018 Flickr account. We also had two professional 2 minute videos produced – one focused on the event in general, and one focused on the kid’s group. We’ll post links to those shortly. If you have been reading so far, you’ll notice the mention of a number of organizers that helped step up. A list of organizers is up on the website, although many volunteers also helped. 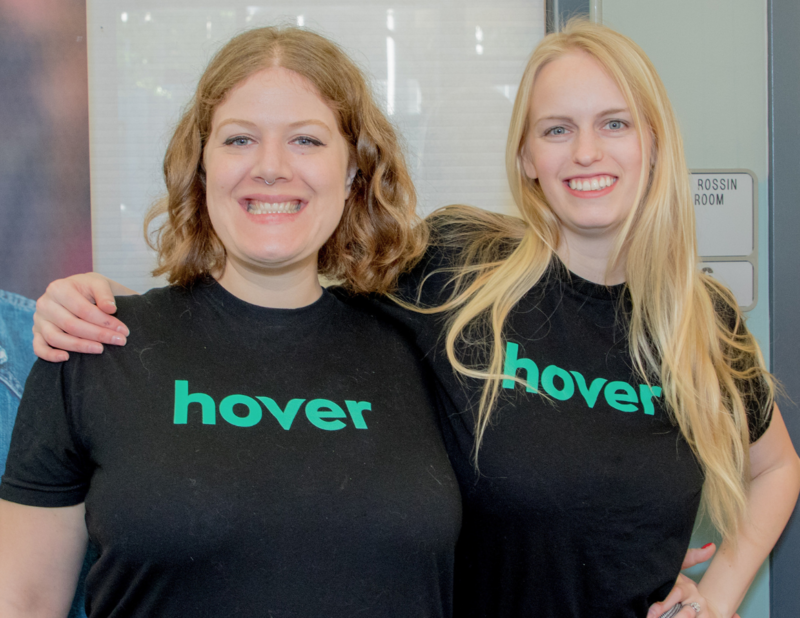 We had volunteer badges (for floating volunteers) and shirts (for organizers and full time volunteers). Volunteers were monitoring social media 24/7, and the public Slack channel was monitored as well. Happy to say that the 10th WordCamp Miami brought more sponsors physically at the event then any year past. Giving proper thanks to sponsors and not forgetting anyone that should have been mentioned at the opening or closing remarks was a priority… and it’s a challenge. I’ve been to a number of WordCamps where either they forget to thank the sponsors (it’s usually the opening remarks) or they simply list through them really quickly. Personally, listing quickly i think is underserving the sponsors, especially the big ones. But when you have as many sponsors as WordCamp Miami has, it would take almost 15 minutes to thank everyone completely. To that end, we included certain sponsors in the Saturday gameshow. These sponsors bought a certain tier with a very limited amount of spots. It went well, with two sponsors battling it out in front of a packed room. This is just one way WCMIA likes to give exposure to sponsors. 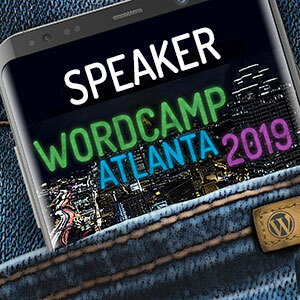 A number of WordCamp organizers picked up on the things we were doing at the conference (primarily i know because they brought it up in conversation), so it should be interesting to see if we see some of this happening at other events. Update (7-10-2018): Here’s the list of all our Gold and Silver sponsors, and a full list of our sponsors is here. All sponsors large and small again deserve our thanks. I do want to give a special shout out to Matt Cromwell from GiveWP who worked with WordCamp Miami exclusively to provide a custom video educating people on Gutenberg, which was shown at our Gutenberg table in the sponsor area (this was different than the WordCamp US “user testing” Gutenberg booth – this was just educating people on Gutenberg, which at the time of us planning it was the first attempt at a regional WordCamp). Special effort this year was put into signs, and Wendy Pierre was the organizer in charge of this. He really went above and beyond, especially since signage was important to direct people to the right area of campus after the bridge collapse brought some confusion the first day. Overall less people asked this year where things were, although as an organizer i can tell you that you could literally put signs every 20 feet and you’ll still have people asking where things are. – 2018 was the first year we dedicated a private room just for nursing women, although it’s not believed this was used. All the same, offering this adds to our goal of more diversity and we plan on having it back this year. – Some rooms were too hot or cold first thing in the morning, but the AC was out of our direct control. Luckily FIU’s people responded in what we thought was adequate time. – This year we had for the first time (I think anywhere) Wapuu socks! Kids loved them! 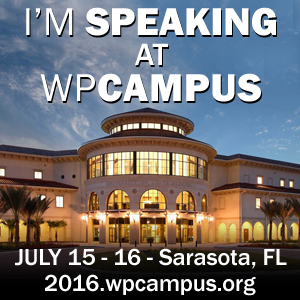 – Added ‘# of years at WordCamp Miami’ to the conference badges. Believe it or not, we had a few “10 years at WordCamp Miami” folks that weren’t organizers like me! – Thanks to Rick Tuttle for once again providing the Wapuu bot on Slack! – Thanks to Valerie Pierce for providing hotel information and having my back at the prize giveaway and contests! – Thanks to Roberto Remedios and Jim Wells for helping pack the WCMIA van! This year we broke a record with the number of people joining the WCMIA Slack channel, with almost 600 in total. We didn’t really do anything different with Slack this year – we made our usual morning and evening announcements so people in the Slack channel would be reminded of the road/entrance changes, schedule, lunches, party info, etc. in theory before they left their houses or hotels to come to the event. 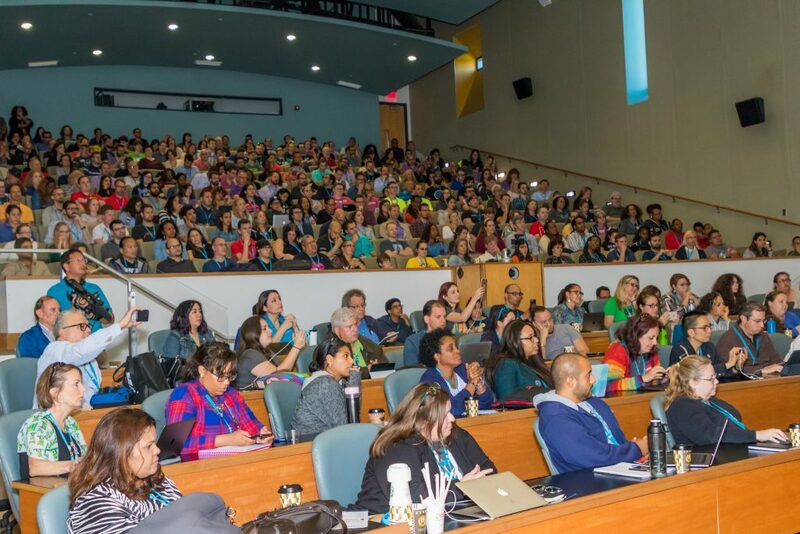 Future dates for WordCamp Miami 2019 have been set for March 15-17, 2019. 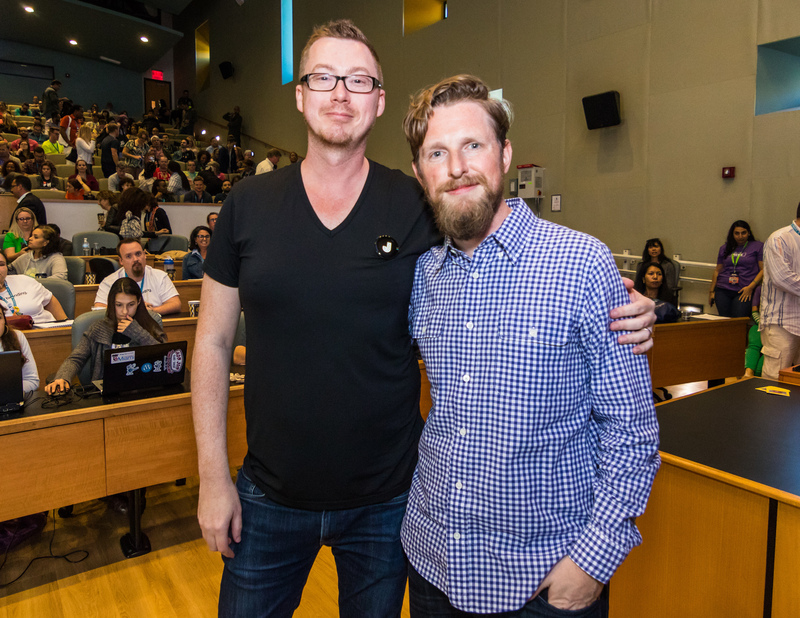 Ten years is a long time for being involved in organizing anything, especially a WordCamp that has gone from 200 people to over 1000. We have mentioned on podcasts. 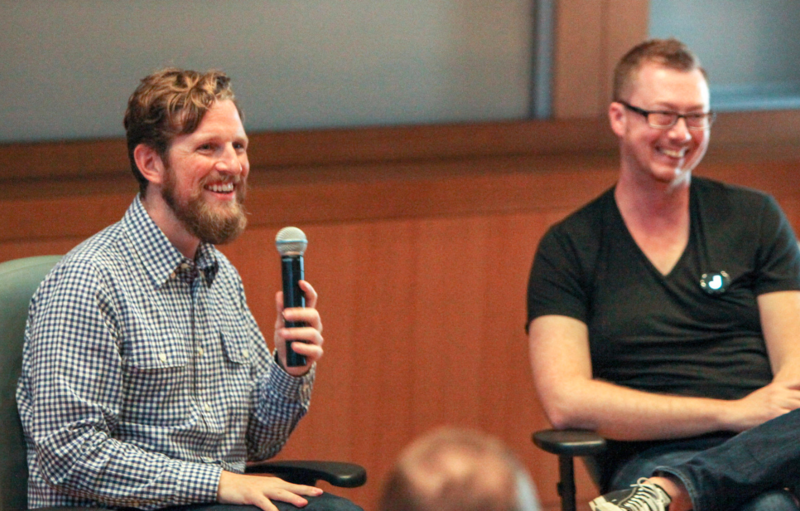 We have even been mentioned in Matt Mullenweg’s State of the Word. But with everything that we have accomplished, it all boils down to helping the community… not just the local, but the WordPress community in general. Sometimes this involves WordPress directly, other times it could be helping kid’s learn coding in general or helping that freelancer find connections and get that job they wanted (which has happened a few times over the years).